The PrescriptionGiant® free prescription savings card was created to help people across the US and Puerto Rico obtain affordable healthcare services. The PrescriptionGiant® card provides free access to discounts of up to 75 percent off prescription medications. There is relief in sight! In response to recent requests, PrescriptionGiant® is proud to offer a free Prescription Discount Card Program to its members! Medications have been the fastest growing component of healthcare costs for the past 5 years. The free PrescriptionGiant® prescription savings card allows you, your family and friends to easily save money on prescription medications. Anyone with or without insurance can save on their prescription medications with PrescriptionGiant®. Mr. Squires has been in the PBM, managed care and pharmacy industries for over 12 years. He has started and operated PBMs, business process outsourcing firms, retail and mail-order pharmacies. Over the years his clients include a diverse group of health insurance carriers, HMOs, TPAs, and self-insured employers. 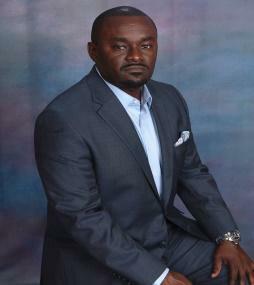 Presently, he also serves as Managing Director of TransparentRx a fiduciary pharmacy benefits manager. He is committed to improving the level of transparency between Pharmacy Benefits Managers (PBMs) and their clients by making these bi-lateral arrangements contractually fiduciary. In addition, Mr. Squires performs consulting assignments and operational reviews, affects mergers and acquisitions, raises capital, designs products, assists in business development, and establishes channels of distribution for emerging products, services, and technologies. Mr. Squires is author of the widely read blog, “The Payer’s Guide to Managing Pharmacy Costs” and has written several white papers on pharmacy benefits cost containment techniques. Mr. Squires can be reached at TransparentRx’s office in Henderson, Nevada at 775.432.6262. You may also click here www.linkedin.com/in/TyroneSquires to view his complete biography.